Our goal is to provide training for the children of the church throughout their childhood that will lead to a personal commitment to Jesus Christ as Lord and Savior and to an understanding of the Christian faith. To reach this goal we offer many programming opportunities to guide the spiritual development of the children entrusted to our care and nurture. 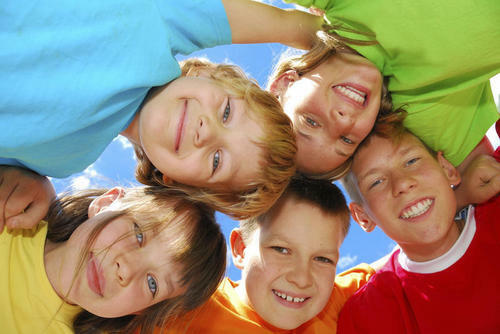 We ask parents to complete a child participation form for each child participating in our programs. Children of all ages are encouraged to come be a part of our Sunday School program each week. There are Sunday School classes available for children in Pre-K, K-2nd Grade, and 3rd-5th Grade. There is also a nursery available for parents with Toddlers and Infants. We offer an alternative learning time for children PreK-2nd Grade during the 10:40am Contemporary and 11:00am Traditional Worship Services. Children are invited to attend worship for the first few minutes with their parents so that they can experience some of the music, prayers, and scripture; then, they are dismissed to Children's Church where their learning and fun can continue with other children their age. We offer a number of family friendly activities throughout the year, typically once a month. This could be anything from a park night, Snead Family Farm night, Movie Night, or games and dinner in CLC. No matter what, it is always a great time of fellowship and fun for our GUMC families. These are great nights to invite other families to visit too! We want to thank the church members that have helped us restock our craft supplies by donating pencils, crayons, construction paper etc. We would also like to encourage members to continually donate craft items new or leftover from other projects that would be beneficial to the children’s programs. These items can be continually given to Keely or placed in the Children’s Ministry box near the elevator. One way we can help our volunteers to be able to concentrate on preparing lessons for the kids is to give them one less responsibility. We are continually in need of snacks like Cheez-Its, Gold Fish, or Animal Crackers for Sunday School and Children’s Church Classes. Please think about purchasing and donating these food items so teachers will not have to provide snacks too. Are you interested in volunteering with our Children's Ministry? To make our programs a success, we are in need of children's leaders and assistants. You can sign up to help any dates that are convenient for you. Please contact Keely DeBoever for additional information. Garner United Methodist Church complies with Safe Sanctuary policy, let learn more click here.